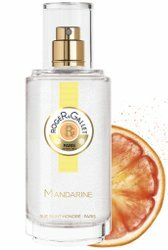 Roger & Gallet has launched Mandarine, a new limited edition fragrance for summer 2018. Mandarine was developed by perfumer Mathieu Nardin. The notes include lemon, mandarin, bergamot, blood orange, geranium, petitgrain, sweet mint, litsea cubeba and patchouli. Roger & Gallet Mandarine is available in 50 ml Eau Parfumée Bienfaisante. Have you tried Prada Infusion d’Mandarine? I believe I did and alas it gave new meaning to Fleeting. I don’t think the Mandarine is here. It is not on their UK website at the moment either. So maybe it is coming, or maybe since it is LE we won’t see it? I don’t know if the last RG LE, Ylang, made it here either.